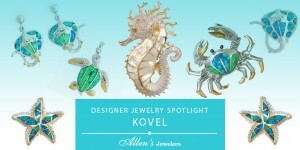 Allen’s Jewelers can create custom jewelry for special occasions, and we have a wide variety of colored Gemstones. If you are in the Atlantic Beach area of Jacksonville, Florida, please drop by our store to experience the difference of Allen’s Jewelers. gems can also be found in colors which range from blue green through various shades of green, including apple green to greenish and yellowish gray. 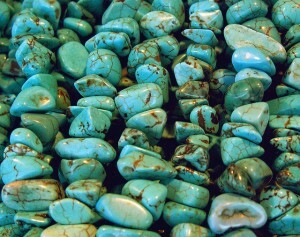 Turquoise is a perennial favorite in the American Southwest. Due to its interesting ability to change color as it ages, turquoise gems are sometimes used to symbolize a life cycle – birth through old age. Little known fact: Turquoise is one of the world’s oldest know gemstones, and its transparency can range from translucent to opaque. desire. Topaz is a very hard gemstone and not especially sensitive to most chemicals, but it can be split with a single blow, just like a diamond. As a result it should be protected from hard and focused impact. 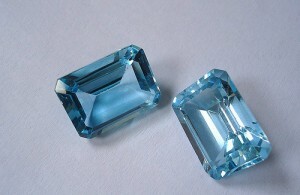 Little known fact: In ancient times, topaz was worn in the belief that it had the power to change color in the presence of poisoned food or drink. Tanzanite is a relatively new gem, discovered in the 1960s in Tanzania, which is currently the exclusive source for this gemstone. 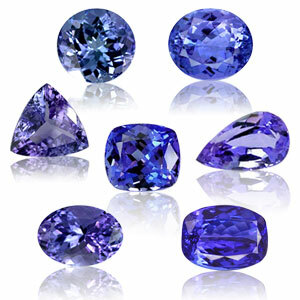 Generally known for its vivid blue-violet color, tanzanite gems colors range from blue to deeper purple. Tanzanite is a transparent gem. It is recommended that this lovely stone is better suited to earrings, pendants, tie pins and occasionally worn rings, or those with protective settings. Because tanzanite is such a new gemstone, no significant amount of folklore or healing properties have been associated with this stone. Little known fact: Never clean tanzanite jewelry in an ultrasonic cleaner; the stone could shatter.